I love looking at photos. My friend shared this photo among others and the first thing that popped into my mind, the song “Morning has broken”. Singing this song in my head as I watched the sun rise from point to point through her album. Several thought was going through my head. First the song brought back memories from my childhood, then the lyrics resonated thoughts of all God created. Then you get to the last line “God’s recreation of the new day”, reminding me how each day is just that. 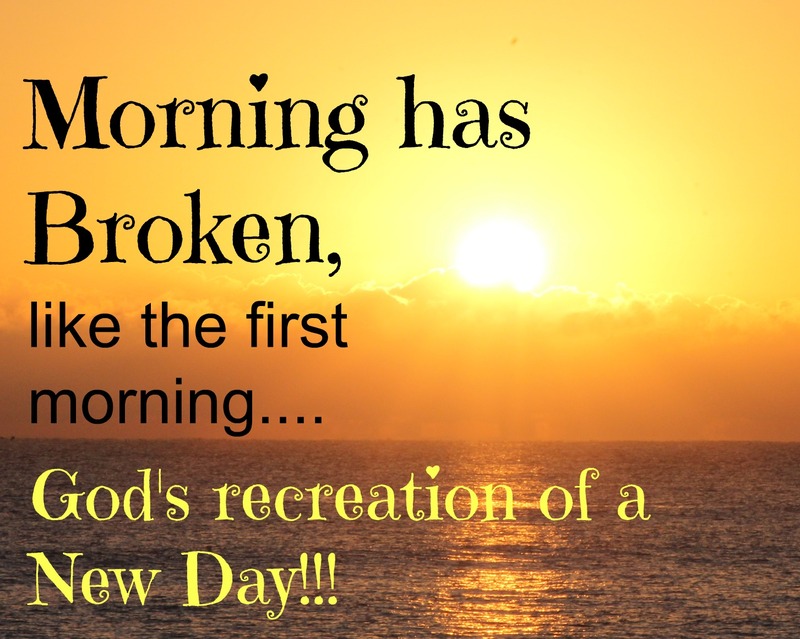 A new day that God has recreated for you and for me. Can you see the beauty of what God has recreated through this glistening sunrise? Share in the comment area what captures your eye first. I’ll go first, I love how the clouds look like they are lined in gold.